Last week, Howard University and the Office of the Mayor of the District of Columbia successfully concluded on schedule negotiations of an Exclusive Rights Agreement (ERA) to jointly develop the National Capital Medical Center (NCMC), an independent non-profit medical facility in Southeast Washington, D.C. A ceremonial signing of the ERA took place on Thursday, January 5, at 10 a.m. in the Mayor’s office, at which point the document was made public on www.howard.edu. The NCMC will provide an integrated system of care – a Level 1 Trauma hospital, medical office building, and medical research facility – to meet the much needed emergency, specialty care, and medical/surgical needs of the hospital’s surrounding neighborhoods and to improve the city’s overall health care infrastructure. The Exclusive Rights Agreement defines a shared vision and terms of agreement between the District and Howard University to address the city’s most immediate health care needs. Currently, some 140,000 people in Washington are without adequate access to health care. The NCMC will serve the cross-section of those living and working in the city’s Southeast neighborhoods where the full range of medical care is severely limited. The NCMC will solve the city’s critical need to better distribute medical services geographically and to better serve the Southeast community. According to a study commissioned by the D.C. Primary Care Association, Southeast neighborhoods have the highest concentration of people needing health care services but the least amount of access to primary care services. Currently, all the city’s trauma centers are located within a one-mile radius in Northwest D.C., providing inadequate trauma services to the rest of the city. Under the terms of the ERA, the development and construction of the NCMC will be funded equally by Howard University and the city, with a cap on spending set at $212 million for each partner. The NCMC is expected to become a financially and operationally independent non-profit hospital upon completion of its three-year start-up phase. The City Council is expected to review and vote on the ERA within 90 days. 1. What is The National Capital Medical Center? 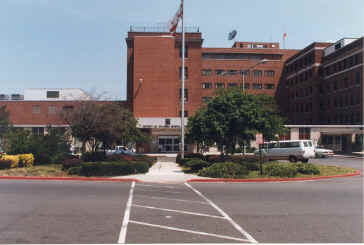 A proposed public-private partnership between the Government of the District of Columbia and Howard University to develop a first-rate facility providing acute, inpatient, outpatient, emergency and trauma services from community and University physicians using state-of-the-art medical equipment and embedded patient safety and clinical information systems. The Center will be specifically designed to be high quality and very attractive to both patients and healthcare staff through its ambience, efficiency, and use of technology. The NCMC will be an important part of a community-based system of care with a focus on prevention and wellness, and it will also have the capacity to support the District’s new primary care network known as Medical Homes. If approved, this significant project will serve as an economic engine to enhance the transformation of U.S. Reservation 13 into the planned mixed-use Hill East Neighborhood. In November 2003, the Council of the District of Columbia passed legislation to explore the development of a Memorandum of Understanding (MOU) between Howard University and the District of Columbia to develop a new, fullservice, world-class, Level 1 Trauma hospital on U.S. Reservation 13, adjacent to the D.C. Armory. In January 2004, the President of Howard University and the Mayor of the District of Columbia signed the MOU. In May 2004 after a public hearing, the Council of the District of Columbia unanimously passed the MOU. Since then, both the University and the District have engaged healthcare experts, hospital facilities planners, leading general contractors and other relevant professionals in a series of substantive meetings with relevant governmental agencies to size the facility properly, assess its development, construction and operational costs, and structure the appropriate financial proposals to complete the project successfully. There were also additional public hearings of The Council of the District of Columbia in February and October 2005 to ensure that appropriate progress was being made. 3. Why does the District need the NCMC? 4. Why did the City choose Howard University? There are several reasons. First, the Chairman of the Council of the District of Columbia held discussions with each of the major hospitals in the District to assess their interests in partnering with the District of Columbia to build a new facility in Southeast Washington, D.C. Only Howard University expressed a willingness to move forward. Second, Howard University has been providing leadership in medical education and healthcare both nationally, and for residents of the District of Columbia, for more than 140 years. It currently sponsors the only university-owned, not-forprofit, hospital in the area. Third, the University has a recent history of successful collaboration with the Government of the District of Columbia to strengthen the District. Several years ago, the University and the District joined forces to create The LeDroit Park Initiative, an award-winning public-private partnership that has helped to transform an important part of the District and has become a national model. Howard is also the only area university to have established a public charter school for District residents, the Howard University Middle School of Mathematics and Science. 5. Will the National Capital Medical Center add any more licensed beds to the District? No. However, District hospital services are poorly distributed geographically: all of the District’s trauma facilities are clustered in the same Northwest quadrant. 42% of the District’s population live in the eastern quadrants, where there are no trauma facilities of any kind. In addition, the District currently needs a hub for its new community health network where doctors can refer patients for diagnostic testing, specialty care, and medical procedures. Under the NCMC proposal, Howard University Hospital would transfer 230 of its existing 482 licensed beds to the new facility. There would be no new net licensed beds required. 6. Who will operate the NCMC? A new private, not-for-profit 501c3 healthcare corporation will be established. The NCMC is the kind of project capable of attracting top talent and, once approved, the Directors of the new corporation will immediately begin to recruit nationally a first-rate team of professionals with relevant experience and proven outstanding ability to implement the project. 7. Who will the NCMC serve? 8. What services will the NCMC offer? 9. How will NCMC relate to Howard University Hospital? To enhance efficiency, both the NCMC and HUH will be controlled by the same new healthcare corporation that the University will establish. 10. What is the cost of the NCMC hospital? The estimate of the Project Costs (in 2007 dollars) is $382 million. The District and the University will fund the construction of the hospital on a 50-50 basis. Based on the current estimate, each party’s 50% share of the Project Costs will be $191 million. The parties will also establish a 20% contingency fund. 11. How will the University fund its contribution? The University intends to use tax-exempt revenue bonds to finance its portion of the NCMC. The bonds will be issued through a governmental conduit of the District used by other nonprofit organizations for similar financings in order to qualify for tax-exempt status. The NCMC's obligation to repay the bonds will be secured by hospital revenues and a debt-service reserve fund. In order to access the tax-exempt bond market with a security that will be attractive to investors and provide the lowest possible interest cost, NCMC intends to apply for mortgage insurance from the Federal Housing Administration (FHA) of the U.S. Department of Housing and Urban Development, under Section 242 of the National Housing Act. The FHA mortgage insurance provides credit enhancement for the bonds that will result in bond ratings in the highest rating categories. When approved, the FHA will issue a commitment to insure a mortgage note under which NCMC will grant FHA a first mortgage lien on the hospital and its revenues and related equipment. 12. How will the District fund its contribution? Tobacco Settlement Funds - The District will engage in an additional Tobacco Settlement Securitization transaction with the potential to generate funds of approximately $100 million based on current market conditions. This securitization transaction could be completed within a relatively short period of time and thus could yield revenues to be used in early phases of the project. Surplus Revenues - $100 million of surplus revenues will be allocated and appropriated from the fund balance as “PayGo” capital funding for the NCMC project. New Market Tax Credits - Any balance of funding will be derived from the sale of New Market Tax Credits, a federal program that provides subsidies to institutions that invest in underserved areas. 13. How will any unforeseen or unexpected costs or cost overruns at NCMC be funded? Any unexpected costs or cost overruns (capital or operational) beyond that which are covered by the joint contingency fund will be the responsibility of the New Corporation. 14. What are the next steps? As agreed, the District and the University completed their negotiations on an Exclusive Rights Agreement on 30 December 2005. The parties intend to complete work on the lease and the grant agreements and the certificate of need exemption by 3 February 2006. This will allow the Council to review all of the relevant agreements for the NCMC, and to act as early as 7 March 2006.